The digital age has brought about a number of revolutions in the way that most everything is handled today. One of these revolutions is the shift away from traditional training methods, which typically involves a lot of time and money, towards more efficient methods which can collectively be referred to as edtech (or educational technology). One of the more recent technological advancements within edtech is the rise of chatbots, and we predict that this form of artificial intelligence will gain increasing popularity in the coming years. When it comes to eLearning, chatbots act as virtual assistance which can effectively communicates with both trainers and learners to dismantle any confusion and answer any questions. This form of AI is particularly useful, because it allows for real-time interactions, meaning that users can receive a response to any inquiry in a matter of milliseconds. In addition to speedy retorts, chatbots are also useful in adding further stimulation to the online learning experience. Bots can act as a guide in some cases; interacting with learners and instructing them throughout a program. Their intelligence is made up of human-like skills including the ability to learn content, understand context, and respond logically. One of the many benefits of artificial intelligence is that is can provide efficient solutions for businesses with dynamic learning needs. As an emerging trend, the number of chatbots which are available along with LMS systems is increasing, for obvious reasons. 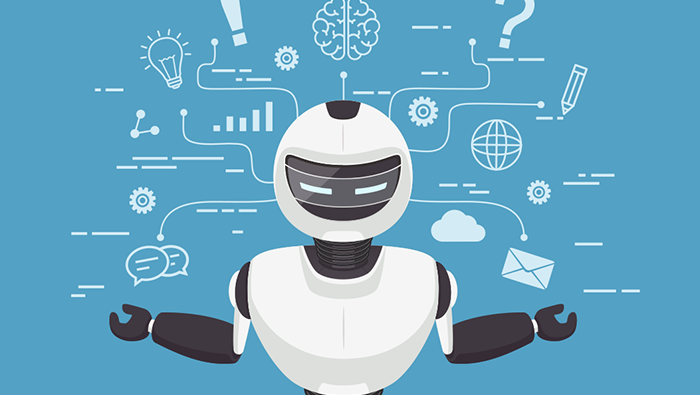 By opting for chatbots, although somewhat pricey, improved learning efficiency and educational experience is likely just some amongst many benefits that will come to fruition alongside any learning management system.